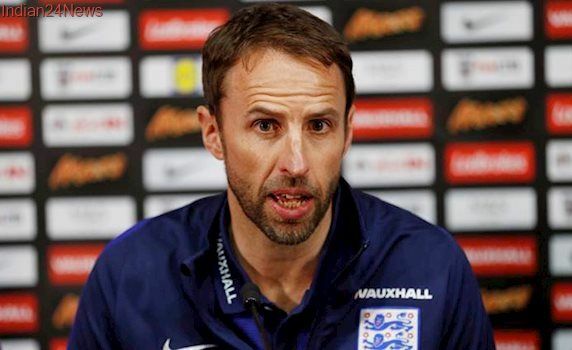 England national team coach Gareth Southgate admits that the squad will have to maximise their capabilities if they are to compete with the likes of Spain at next year's World Cup finals in Russia. The Three Lions qualified for the global tournament with relative ease, but the celebrations were notably subdued due to their boring and familiar type of football in the latter phase of the qualifier group. Despite having loads of attacking talent, the Three Lions only secured hard-fought 1-0 wins over Slovenia and Lithuania in the final set of World Cup qualifiers with Harry Kane being the saviour in each occasion. Speaking to reporters, Southgate admits that England cannot transform into Spain in the space of eight months, but his side need to show desire to 'evolve as a team' in order to break their World Cup duck. He said: "We have to maximise the capability and abilities we have. Are we going to become Spain in the next eight months? No we're not. But they've got a squad of players who have won league titles and Champions League medals. Until you win things and can prove yourself on that stage, you can't consider yourself in that company. But our lads have a chance to play in that company again now. We feel we know we need to evolve the team. There's a desire to evolve the team." Harry Kane was the sole source of motivation for England during the month of October, and this brings question marks as to how they would perform, should the Tottenham Hotspur ace sustain a significant injury between now and the end of the season. The likes of Marcus Rashford and Jesse Lingard have provided the additional pace in the wide areas, but there is the lack of consistency which is required to take the nation to the next level.